Jeep Compass Trailhawk is set to debut with the diesel automatic option in India; with launch date slated for Jan 2019. 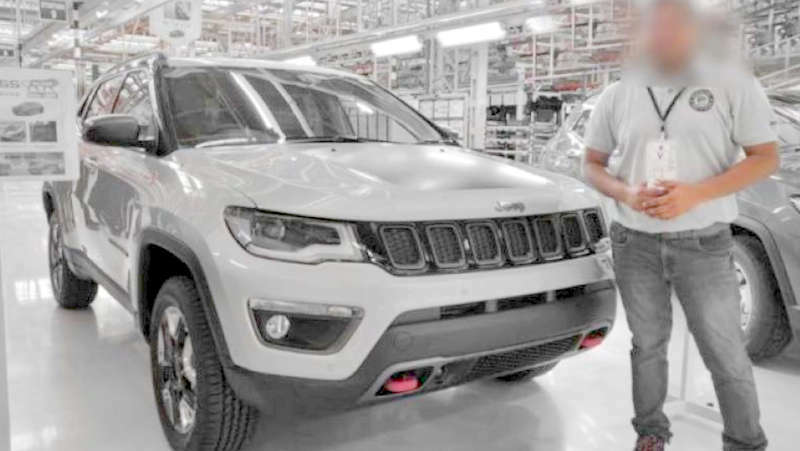 Following the most recent tests in Jaipur, the Jeep Compass Trailhawk has entered production at the Fiat Chrysler Automobile plant in Ranjangaon, Maharashtra. Images of the soon to be launched SUV has also emerged online, drawing attention to several exterior and interior features while engine specifications also get detailed. Jeep Compass is offered in Sport, Latitude, Limited and the new Limited Plus trim along with the Trailhawk that will sit at the top of the range. It is expected to be priced at around Rs 24-25 lakhs when launched in India. 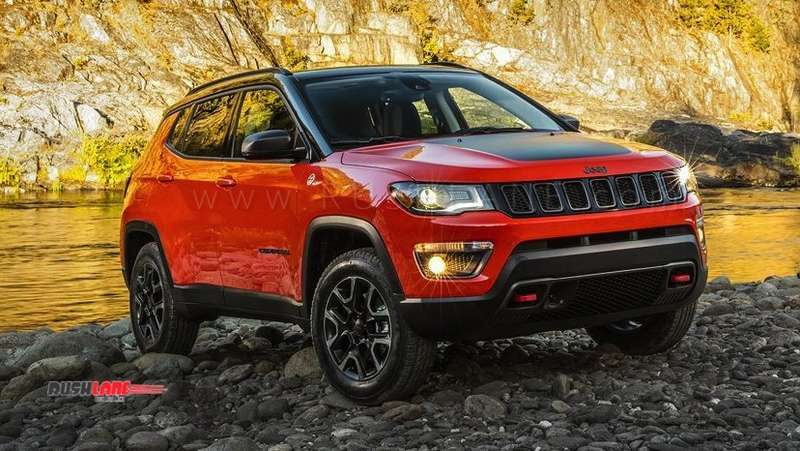 Launch date was scheduled earlier but has been delayed due to the fact that Jeep was working on its engine lineup to company with BS VI emission norms set to come into effect from April 2020. Jeep Compass Trailhawk measures 4,398mm in length, 2,033mm in width and 1,529mm in height. It gets ground clearance of 216mm. Jeep Compass Trailhawk will get off-roading features among which will be redesigned bumpers, red tow hooks, higher ground clearance and large dual tone 17” alloy wheels as are also seen on its global model. The uniquely designed bumpers offer better approach – 30 degree and departure 33.6 degree angles while the bonnet gets a black anti glare decal. Interiors of the Compass Trailhawk will be seen in an all black color scheme with ‘Trailhawk’ embossed on seat upholstery. It also be seen with a panoramic sunroof, an 8.4” Uconnect system and being a top of the line variant, front parking sensors are also noted on the online images. In India, the Trailhawk will come in powered by a 2.0 liter diesel engine offering 170 hp power and 350 Nm torque mated to a 9 speed automatic transmission along with a 6 speed manual transmission. Once launched, the new Compass will take on the upcoming Tata Harrier; which is also going to be launched in the same month.